Like many of us, I also had one item in my bucket list to see dancing Northern Lights. And I have been so lucky to see those lights dazzling and dancing for us for one night during our trip. One of the most amazing nights of my life. 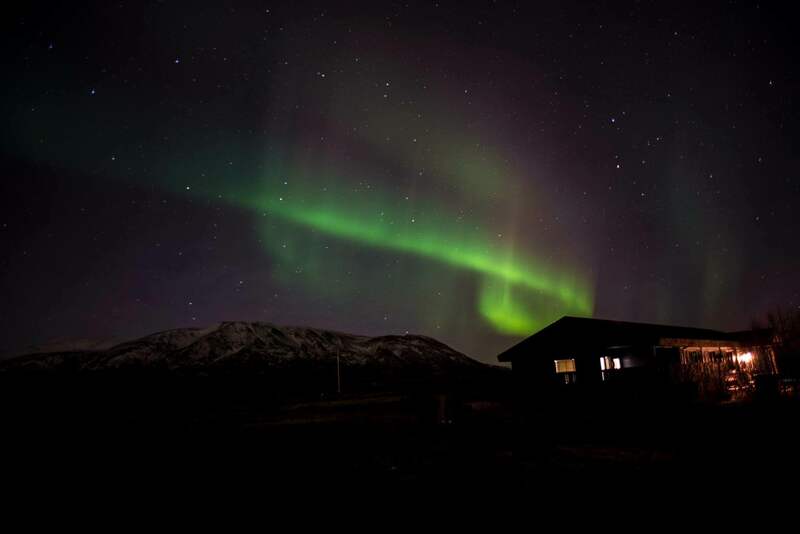 The Northern Lights are one of nature’s great exhibitions: a mysterious, colourful show in sky when suddenly it gets lit up with green, red, yellow lights twisting and dancing around like disco lights. It is an indefinable thrill that can make anyone overwhelmed with humble feelings. 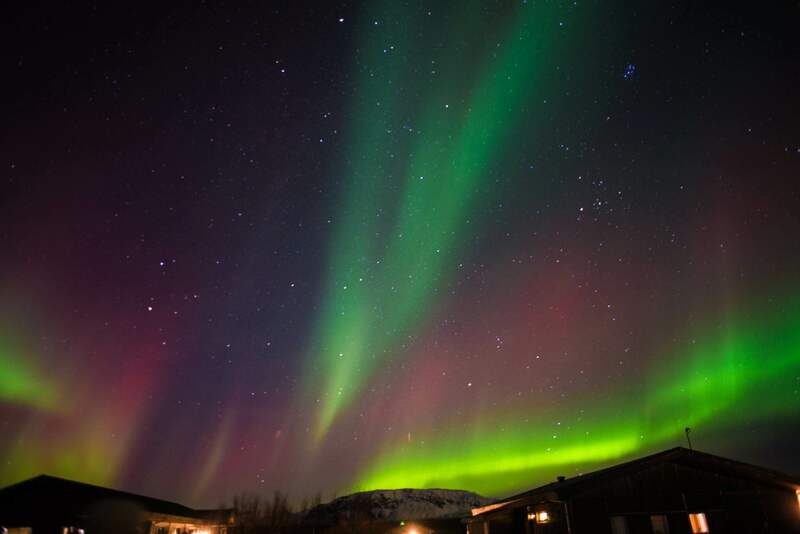 One of the many reason to plan Iceland trip in winter was to try our luck to see Northern Lights. They are active and mostly visible during winter months. The lights are formed from fast-moving, electrically charged particles that emanate from the sun. These are driven towards the poles by the Earth’s magnetic field – their varying colors are a result of the different gases in the upper atmosphere. Mostly green because of the oxygen present above us. 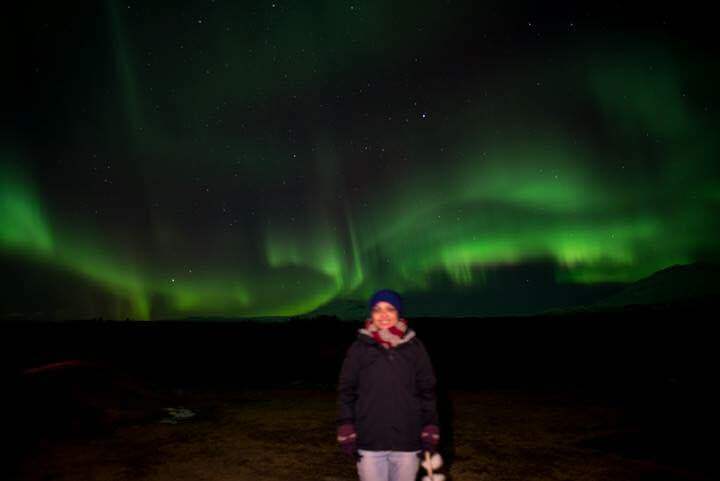 While in Iceland, me & ash had a duty to check the Aurora forecast after every few hours. 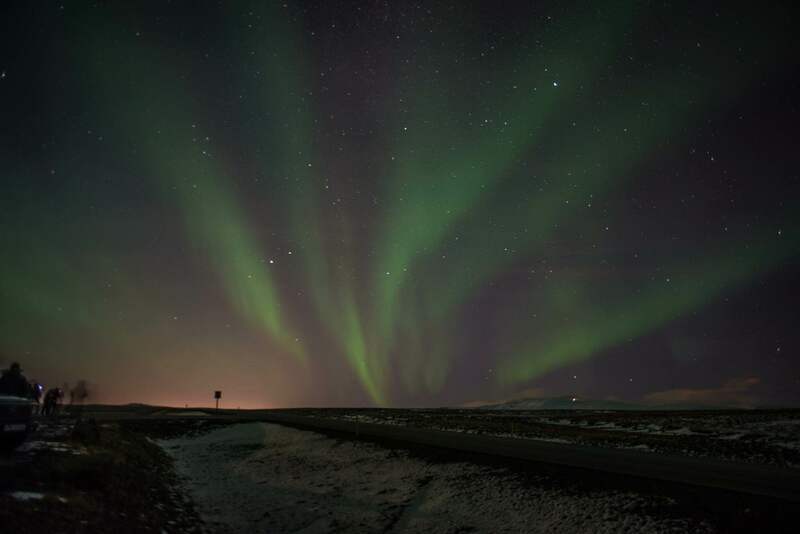 The day we arrived in Reykjavik, it showed the Aurora forecast as Moderate. From what I have read that Aurora lights can be a mesmerizing affair even with moderate levels. Me and ash were in Iceland only for 5 days, so we did not want to miss the chance of hunting the moderate Northern Lights as well. So we headed out for our first NL hunting tour [ Organised by GrayLine Tours – http://grayline.is/] , our guide drove us into the darkness, away from the city lights and we reached Borganes. After spending few good hours in the darkness and cold night, very cold, we finally left the hope of seeing NL tonight. Just when we were walking back to bus, something appeared in the sky. It brought the excitement, we waited another 15mins for that something to glow a bit darker. And the there it was our first glimpse of NL, a very low light in the sky. It was not dazzling, but were happy to see something and returned back to our hotels. 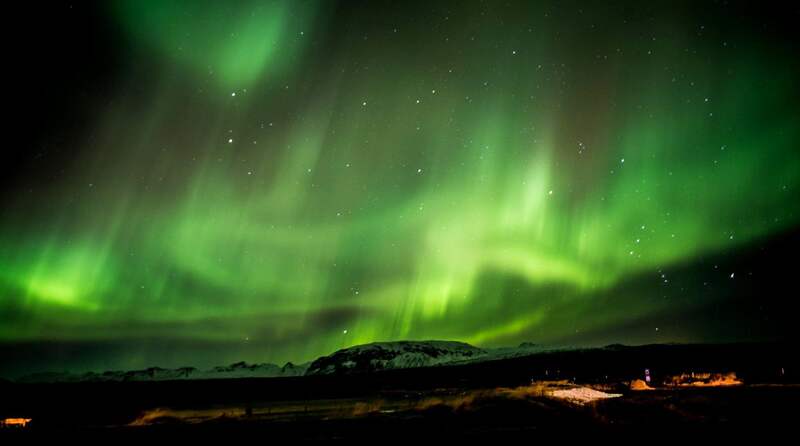 Many beliefs around the northern lights see the phenomena as a good omen. Lights were the gods of harvest and hunting. It is still believed that a child conceived under the northern lights will be blessed with good fortunes. Thank you so much Mabel. We were really happy to, and very lucky indeed to see those lights with such bright colours. Stunning photos, Aanchal! That’s something we missed on our Iceland trip. What did Ash have his camera settings on if you don’t mind me asking. We are going end of January. Enjoying your blog. Thank you. I’m so glad you managed to see them !!! Truly a spectacular night. And I just had a good laugh on that the myth of cross eyes babies. Seriously imagine those poor woman 🙂 Personally I do not think so that a magical sight like this can ever do harm to anyone. Infact I think only the lucky ones gets to observe and feel that. Wow! Stunning photos, I LOVE the northern lights. Thank you so much for your kind words. It was absolutely a stunning night.